Want to get in contact? Send pen pal applications, grandma's cookie recipes, sweet valley high movie casting news, questions, requests and hate mail through to thebellelumiere@gmail.com. If we had the Container Store in Australia I would probably live there. We have our own versions of the store of course, but the majority of them charge exorbitant amounts of money for things that I honestly don’t think should cost so much. But that is a whole different post, and one I will probably never bother to write (cue collective sign of relief). I placed the order using parcel forwarding service Hop Shop Go, and I’m going to have to make the most of this stuff because the shipping cost was so high that I’ll never be ordering from the Container Store again. Woe. I ordered a few bits and pieces, mostly things to help me organise my life (vinyl document holders to keep different types of paperwork together for projects I’m working on, manila folders for storing bills/press releases, receipt file to help me keep track of things I purchase for my new house, paper flags to use in my Lilly Pulitzer planner and weekly to-do post it notes), and a few travel-friendly things for my trip later this year. Mmm, organisation. For the past three years I’ve been using the Kikki K financial year diary as my day planner and life organiser. I recently watched this video by Organize Like Jen and decided that I wanted something bigger and better to help me organise my life and the various projects that I have planned for this year. I’d seen the Lilly Pulitzer agendas on Glitzy Glam before and had considered purchasing one because they looked so cute. As luck would have it, as soon as I started thinking about them again Elle Fowler tweeted that the new season agendas were in stock so I headed on over and bought myself one. It arrived a couple of weeks later and I fell in love. So much so that I decided to buy a second one to give away to one of you! 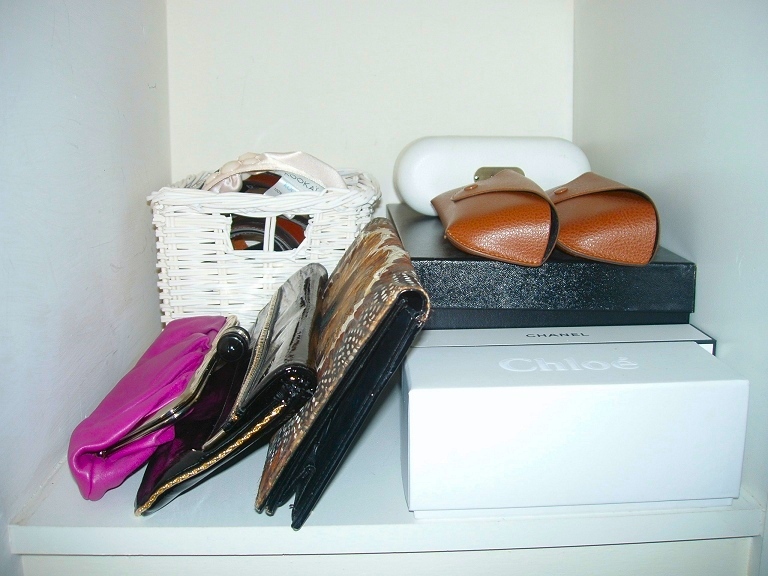 To enter the giveaway simply leave a comment on this post giving me your best organisational tip. Please note that this giveaway is open to Australian residents only. The winner will be drawn at random on Saturday August 18th. Good luck! I am in love with my new acrylic makeup organiser. It is exactly what I had been looking for, and I purchased mine online from an Australian store called The Makeup Box Shop. I searched online for a week or so, and went to various stores in the city but couldn’t find anything that would fit as much as these stands do, and everything that was smaller was actually more expensive. Go figure. The Makeup Box Shop boxes are now $99 AUD each, and that includes free shipping anywhere in Australia. The Makeup Box Shop do ship internationally, but you would need to email them for a quote. I highly recommend the store, I was dealing with Katie via email and she was super friendly and helpful and even emailed me to check in on whether or not I had received my parcel. If you’re interested, I’ve also put up a short video on youtube of me rambling about what is actually stored in the drawers. Now, any ideas as to how I can store my brushes? Next to be organised: My desk/workstation. I am completely inspired by the picture above, and want to see if I can get something similar happening for myself. As I do at the start of every season, I will be cleaning out my wardrobe tomorrow and sorting out the “do not want” the “maybe want” and the “must keep” clothes from spring/summer, looking through my stored autumn/winter wardrobe and figuring out what I can make work during the transitional stage between seasons… Do you do re-organise your wardrobe at the start of the new season? Over the course of the past 2 years or so I have been focused on developing my wardrobe to suit my personal style. It’s been a slow and steady process, and I would say I’m around 75% complete. I have followed a few simple steps to get to this point, and from here on it’s focusing on what I know will fit with what I already own. Eventually I am aiming to live by the 4-5 piece french wardrobe rules and buy a few key pieces per season that will compliment the base wardrobe that I’ve developed. Consider your personal style. What you wear, and what you want to be wearing. Are you happy with the clothes in your wardrobe? How much of it fits into the aesthetic that you want for yourself? Are you wearing hipster ripped stockings and acid wash jeans when you really want to be wearing tailored suits? I find it’s helpful to put together a mood board for my wardrobe. You can do this with magazine cuttings, or with images collected online. This will help you visualise when you’re feeling uninspired, and help keep things on track. Now, take an honest look at your wardrobe. How much of it do you actually wear? How much of it is leftover from the days where jeans sat awkwardly high on your waist, and scrunch socks were cool? (ok, so scrunch socks will always be cool) Basically you need to assess what you have, what you wear, and what you are willing to part with. Start by separating your clothes into 3 different piles. Definitely keep, maybe keep and a donation pile. Everything you know that you do not want can be donated to friends, family, or charity. You can filter through the ‘maybe keep’ pile once you’ve started to think about the outfits that you will be wearing. Try to think of 3-4 outfits for each “section” of your wardrobe. This is a good starting point. Once you have these basics, you will be able to build on them and increase your wardrobe as you go. Write them down so you have a reference. Look at the pieces you’ve chosen. Are any of them sitting in your “definitely keep” or “maybe keep” clothes piles? How many pieces could work for every section of your wardrobe? These items are the most important on your list, and should be bumped up to the top of your shopping list. Time to shop… It’s important to focus on buying good quality pieces that will last you for a few years. When starting out, focus on the pieces that you will get the most wear out of. You can buy cheaper pieces that you will get less use out of, and replace them further down the track. It’s handy to take a list with you when shopping, but if you’re not a list writing person try to stop yourself before buying something. Think about how it will fit into your wardrobe – does it suit you and your personal style? What will you wear it with? Will you get more than one wear out of it? Take stock every season. It’s a good idea to re-assess your wardrobe at the start of every season. Put away all of the summer/winter clothes that you won’t be wearing & make room in your wardrobe for new pieces you might want to invest in. It’s also a good time to look back at the pieces of the season to see if you actually got any use out of them. Do you really need to keep these pieces in your wardrobe? If not, donate them to charity. Be organised. 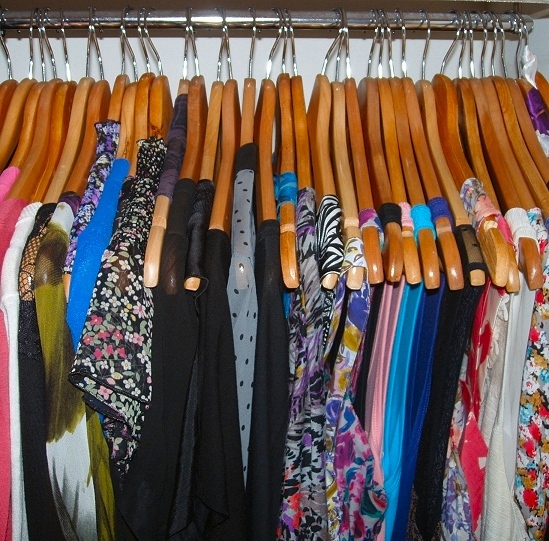 Invest in some good quality hangers & organise your shoes and bags so you can see them clearly. Having an open and organised closet makes dressing a far more pleasant experience! Note: If you need any help organising your own wardrobe, please feel free to email me at thebellelumiere@gmail.com or contact me via the comments section of the blog.